The archetypal trekking boot – the Alaska Wide GTX® is an absolute classic suitable for trekking adventures all over the world. The Wide version has additional room at the forefoot for broader feet. Alaska GTX, Wide - Mens is rated 5.0 out of 5 by 2. 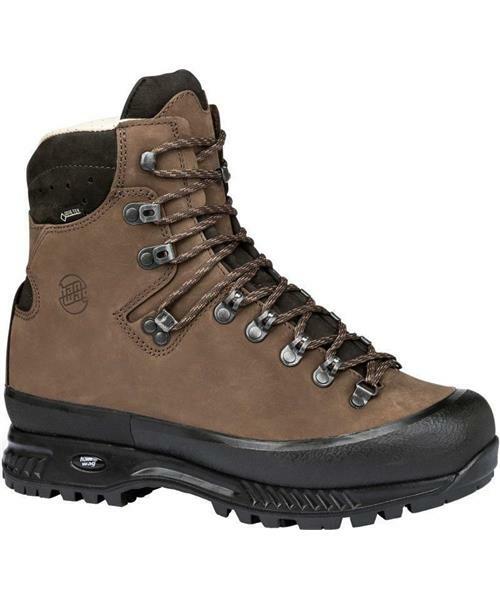 Rated 5 out of 5 by Bob1 from Great Boots Best boots i have ever had. This is my second pair of Alaska GTX. I wear them for work, my first pair is over six years old and have been abused and still as comfortable as the day I bought them. Wearing my new ones while my old pair is getting resoled. Rated 5 out of 5 by Yukonguide from Worth every penny Second pair of Hanwags. No break in period required. These boots will last year's with minimal maintenance.